Thailand has a plethora of wonderful, and sometimes exotic food. After consuming duck tongue, wild boar and cow intestines, I had thought about a “new food” blog entry. 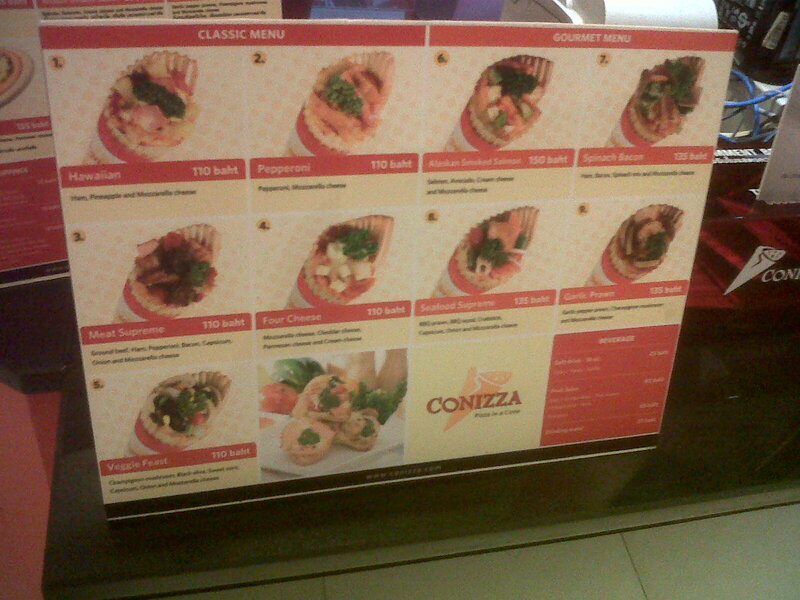 Tonight I came upon the true strange food- a restaurant called Conizza serving Pizza in a Cone. Is that really a name of a dining establishment, or something you say when someone sneezes? I hardly consider myself a trend spotter, but I don’t see this one taking off. Possibly the word Cone isn’t ideal? Wrap maybe? 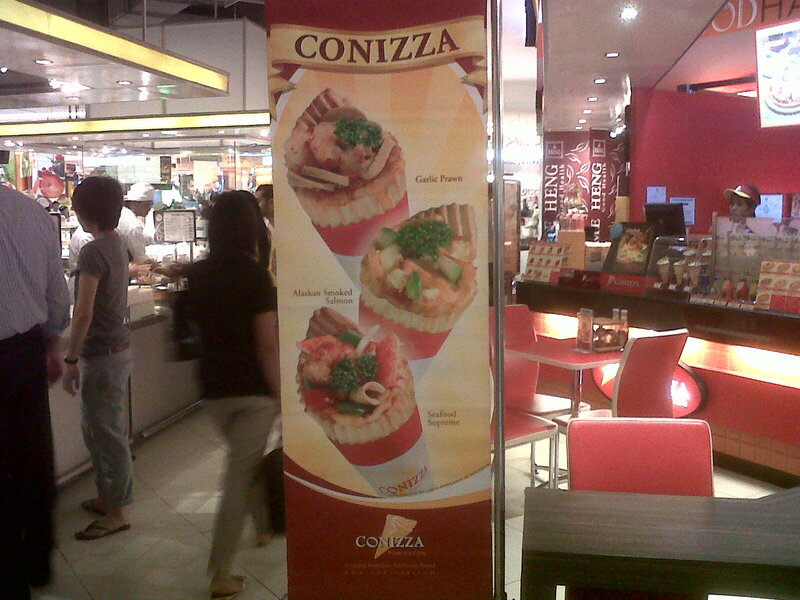 “Hey, feel like a Cone for dinner?”; “No, no, not ice cream, peperoni”. Let’s give them credit, they won’t fail due to lack of Pizza Cone options. Maybe the Pizza Cone tastes wonderful, but somehow eating a great Pizza Cone will still be inferior to an average slice of pizza. This entry was posted in Bangkok, Food & Restaurants, Sightseeing, Thailand and tagged Cone, Eating in Bangkok, Pizza, Slice, Strange Food. Bookmark the permalink.